You may be surprised to learn that your marketing department can teach your fraud prevention team a lot about card not present fraud. Not only are the two departments working in tandem to reach the same goals, but the marketing department has a lot of innovative qualities that a fraud management team would be smart to follow. Here are ways they can closely support one another for mutual success. So far in my career I've seen companies house their CNP fraud prevention and data security programs within operations, finance, IT, and even legal—and there are good reasons why a company might choose one of those departments to coordinate its fraud prevention activities. But there's one department I have yet to see as tightly linked to fraud prevention, even though I believe they can be a natural fit—and that's marketing. Whether or not to require a certain data point from customers during the checkout process. Whether or not to sell overseas. Whether or not to advertise in particular media channels. These, and similar discussions, matter for successful fraud prevention and effective marketing. Some “push and pull” tension is common and probably necessary, but it's important that all parties keep a few things in mind. Strong fraud protection and data security are good for marketing. 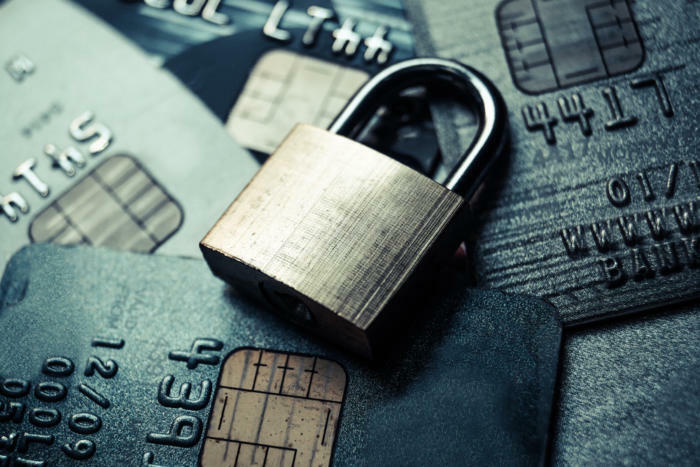 Robust fraud protection can save marketers the headache of developing strategies to shift customer perceptions in the aftermath of an incident. In the wake of its headline-making customer data breach in 2013, discount retailer Target had to move into crisis mode to restore its reputation with consumers. To make way for damage control, the company postponed an ad campaign it had planned for the Olympic Games and took a break from inviting customers to apply for its credit card. Knowledge of security trends and threats is everyone's business. When marketers are aware of emerging fraud trends and can explain to customers and partners how their company's fraud-prevention technologies work, it helps them differentiate their brand as safe and trustworthy. Marketing data can strengthen and fine-tune a company's fraud prevention practices. Because marketing teams collect and analyze so much customer data and behavior, they are valuable resources for fraud prevention teams seeking to reduce false declines and better identify attempted fraud. Marketing and fraud prevention people have more in common than they may realize. “Tech savvy, curious, innovative, analytical, and concerned with the whole customer experience” might describe what you’re looking for in your next marketing hire. It also describes the characteristics that I and other leaders in the fraud prevention space seek in fraud analysts and data scientists. Customer experience is the cornerstone of a company's success, and marketing and fraud prevention each have a CX role to play. Unfortunately, many of the fraud solutions that teams reflexively reach for can have a negative impact on CX. For example, consider Amazon's 1-Click Ordering button. From a marketing and sales perspective, 1-Click reduces checkout friction that might otherwise lead a busy customer to delay or abandon a purchase. It also helps the company to profit from micro-moments when customers realize, for example, that they're almost out of dog food and want to solve the problem immediately. At some companies, though, I see fraud prevention teams suggesting security measures that make more work for the consumer: physical biometrics like taking a selfie and responding to a two-factor authentication SMS message. These friction-heavy anti-fraud tactics can have a negative impact on revenue and customer-experience KPIs by reducing conversions and customer retention rates, thereby cutting the ROI for the marketing spend that brought those customers to the site. Since the legendary “diapers and beer” cross-selling study launched a wave of retail data analytics in the 1990s, marketing has driven innovation in analytics in ways that sometimes led to improvements in fraud prevention. For example, the device fingerprinting technology that fraud analysts now use originated as an alternative to cookies to allow marketers to track and analyze consumers' mobile browsing habits. Perhaps there are ways that we on the fraud-prevention side can develop and share innovations that benefit both security and marketing. Marketers know the power of return-on-investment, both when they're pitching a project to upper management and when they're evaluating that project's performance. ROI is the centerpiece of the marketing decision-making process, and fraud prevention teams would do well to consider it, too. I often see fraud prevention teams focusing on the cost of their projects rather than the projected ROI. But consider this: if your loss-prevention program currently blocks 10% of your orders, and a new initiative to reduce false declines will reduce your declines to 3%, then the customers you'll retain through better screening (and the lifetime value they represent) are as valuable as a 7% increase in customers brought in by a marketing campaign. Of course, there are fraud-prevention standards that must be maintained, just as there are customer-experience practices that consumers expect and won't do without. But when fraud and data teams can take a collaborative approach on customer experience, brand image, analytics and ROI, companies and their customers all benefit. Rafael Lourenco is the Executive Vice President at ClearSale, a Card-Not-Present fraud prevention operation that protects e-commerce merchants against chargebacks.